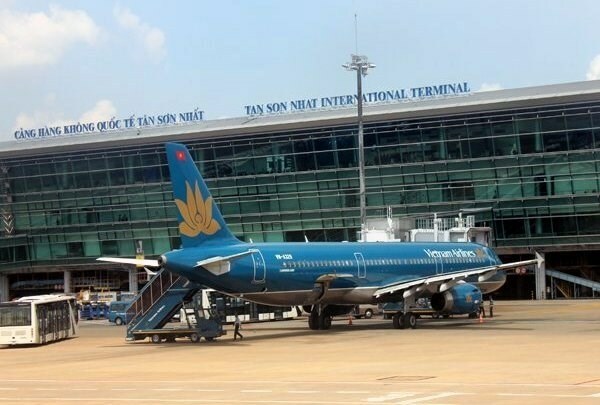 Hanoi (VNS/VNA) - The Ministry of Transport (MoT) has proposed the Government allow the Airport Corporation of Vietnam (ACV) to invest in building a third passenger terminal at Tan Son Nhat International Airport in Ho Chi Minh City. In the proposal submitted to the Government recently, the MoT said the construction would be funded by the ACV. The investment funded by the ACV is one of four investment methods mentioned in the MoT proposal, which include investment funded by the State budget, establishing an economic organisation for investment and investment in the form of public-private partnership (PPP). Of the four methods, the ministry said it favoured the first one, which would assign the investment to the ACV in its entirety. “The ACV is a State-owned enterprise which the State currently accounts 95.4 percent of the equity. It is also granted licence to exploit airports so that the allocation of investment projects with financial efficiency to preserve and develop State capital at the enterprise is necessary,” said Deputy Minister of Transport Le Dinh Tho in the proposal. The ministry said in order to ensure fairness and transparency, the ACV would conduct bidding procedures to select design consultants and construction contractors. The ACV has demonstrated its capacity through important investment projects such as Terminal T2 at Noi Bai International Airport, Phu Quoc International Airport, the passenger terminal of Vinh International Airport, Tho Xuan Airport and Cat Bi passenger terminal. The ACV has arranged enough capital to build terminal T3 at Tan Son Nhat Airport and if the proposal is approved, the ACV will immediately carry out the project, which is expected to be finished in three years. In the document, the ministry also analysed other investment forms. Investment funded by the State budget, the MoT said it was unfeasible because under the Vietnam Civil Aviation Law and the Law on Public Investment, the MoT, which represents the State, will implement investment when the capital is approved by National Assembly and the Prime Minister, it said. However, the medium-term plan assigned for the ministry cannot balance the funding for this project. Regarding establishing an economic organisation for investment, the ministry said it used this method for passenger terminals projects at Da Nang and Cam Ranh international airports, however there are still disagreements on this method in terms of legal basis, investment form, the selection of investors, land allocation and lease as well as benefits of the State and investors. In the PPP form which selects investors through bidding, the ministry said this ensures fairness and transparency, creating opportunities for enterprises to participate in, thereby reducing investment costs and bringing benefits for the State and the society. However, the ACV is currently managing the apron and passenger terminals T1 and T2 at the Tan Son Nhat International Airport. Any new investor would have to be trained and certified.